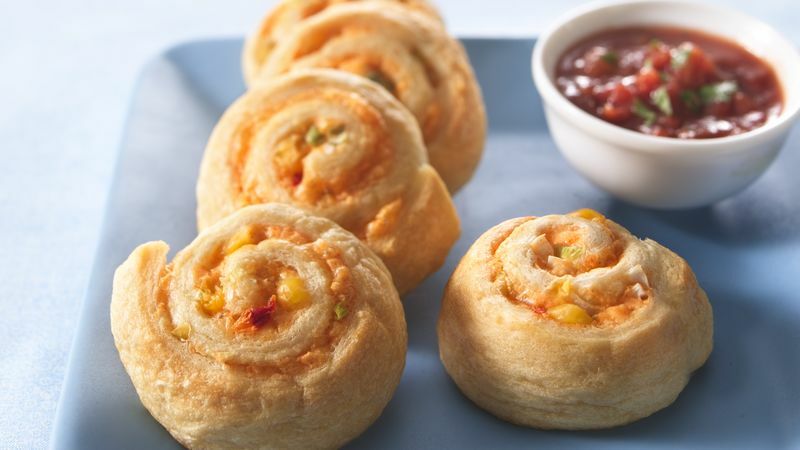 If using crescent rolls: Unroll dough; separate dough into 4 rectangles. Firmly press perforations to seal. If using dough sheet: Unroll dough and cut into 4 rectangles. In small bowl, mix cream cheese and taco seasoning mix. Stir in Cheddar cheese, corn and onions. Spread 2 tablespoons cream cheese mixture over each rectangle to within 1/4 inch of edges. Bake 13 to 17 minutes or until edges are golden brown. Serve warm with salsa.